I’m a lucky guy. I happen to own the original vintage AMT painting for one of my all-time favorite kits. 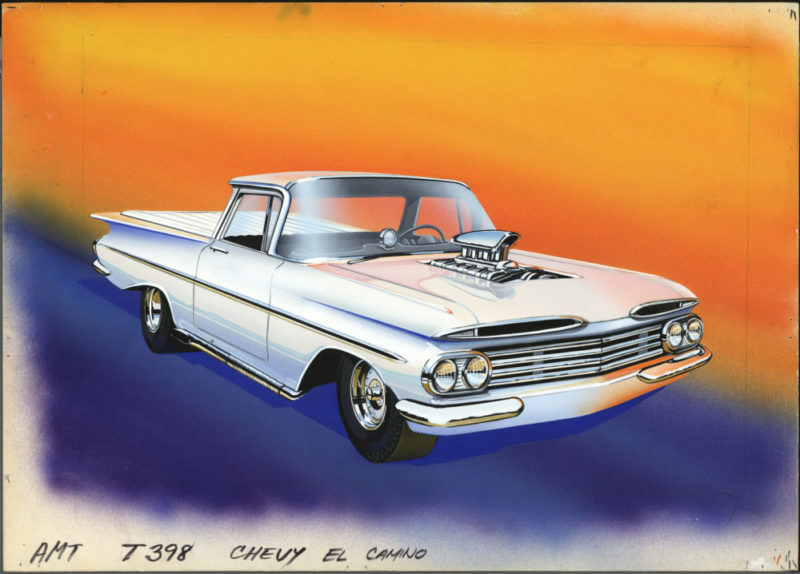 Specifically, the 1970s “Street Rods” issue of the 1959 Chevrolet El Camino. Now, I can hear some of you commenting about this issue of the kit, having changes and fewer parts than prior issues. But, if you’re like me, specific kits from certain times in your childhood created special memories, and this is one of those kits for me! Gather ’round the workbench for a cool story: I remember walking home after school with a buddy in the late 1970s. We were going over to his place to build model cars. He had an older brother who happened to have a body shop in town. He did amazing work and had access to some really cool paints! When we walked into the kitchen at my friend’s place, sitting on the table, there just happened to be an in-progress build of, you guessed it, the Street Rods ’59 El Camino! However, what I saw made my eyes bug out and stuck a memory in my mind that I’ll never forget. The body was painted with amazing rainbow metal flake and glittered like no model I’d never seen! 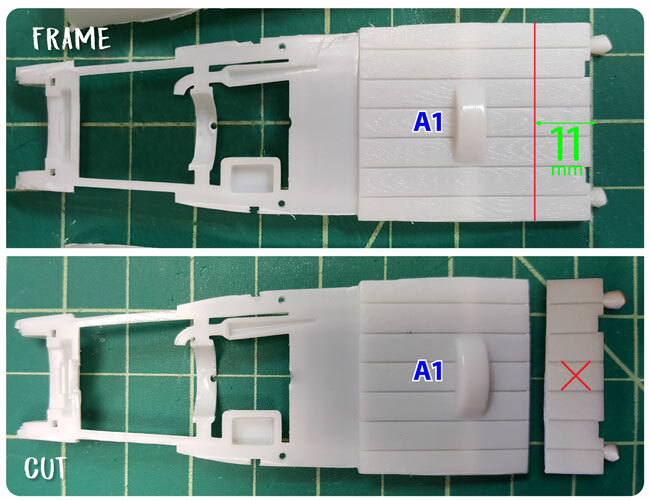 It didn’t matter that the flake was a wee bit too big for a scale model car body. 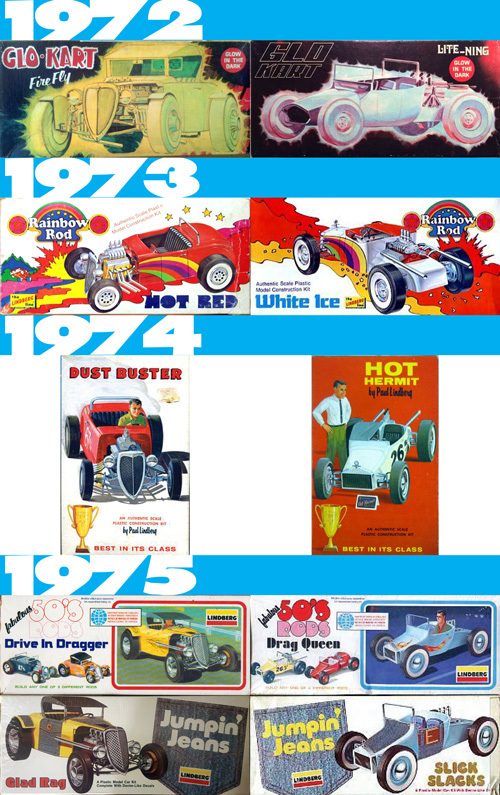 It inspired me to no end and is probably what started my love of “flaked” paint, whether on model cars or real cars! The kit was barely started and was in the box. I just gawked at the beautiful illustration of the white car with the chrome scoop sticking out from the hood. The colorful orange and purple background really set the car off and I wished that kit with its wild flaked body was mine! Now fast forward, oh, about 30 or 35 years. During my mad collecting years, I had found a very nice factory sealed example of the kit, but when the opportunity arose to acquire the actual original painting, the world stopped spinning for a moment. Needless to say, the day I saw it in person for the first time was quite a thrill! Here is a scan of the full painting, for your enjoyment! I would have loved to have been sitting by the artist’s desk when this gorgeous rendering was created! But, I can tell you it was a total blast to be the one who laid out all the artwork for the Original Art Series reissue! For the decal sheet, I honored my friend and his brother with some special decals related to the types of work they do today. 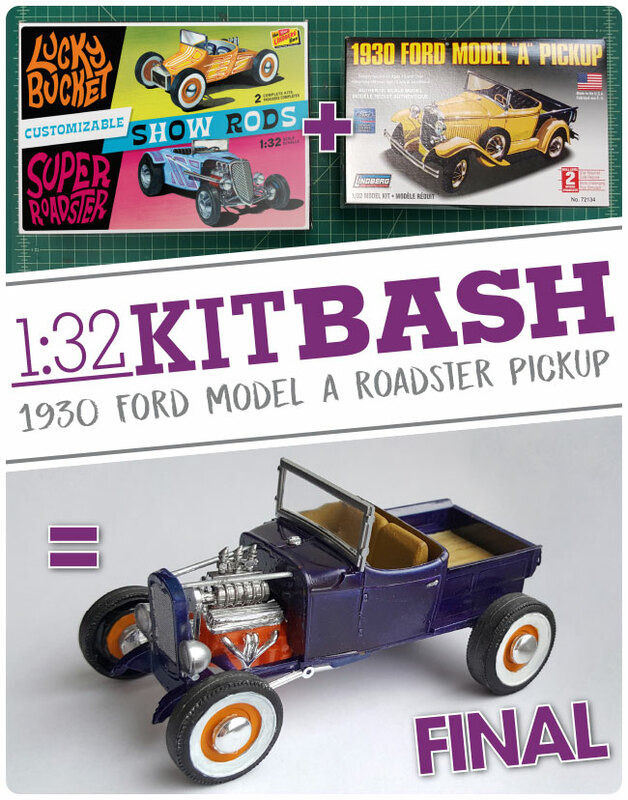 It’s much different and much more fun than the one which came in the Street Rods series kit all those years ago. Check it out for yourself! And of course, inside the Original Art Series reissue, you’ll find a sweet bonus print of the original painting. Grab the glue, it’s all for YOU! 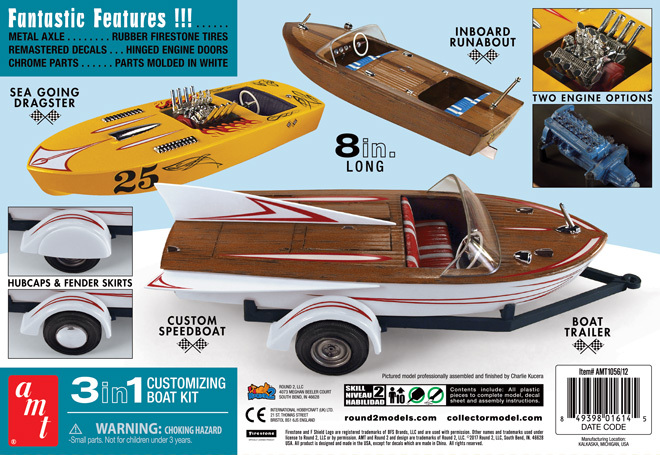 AMT Model kits: 3in1 Customizing Boat! Summer vacation is not over yet! Cool yourself off with this hot item! AMT is bringing back the 3in1! Customizing Boat. 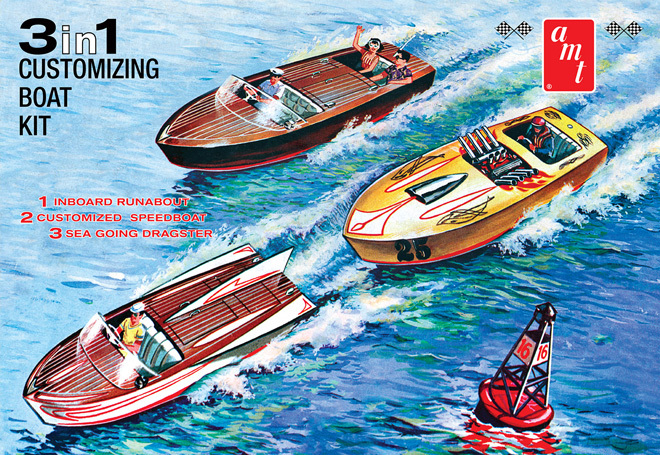 This summer have endless fun by building this kit 3 different ways – an Inboard Runabout, a Sea Going Dragster or a Custom Speedboat. 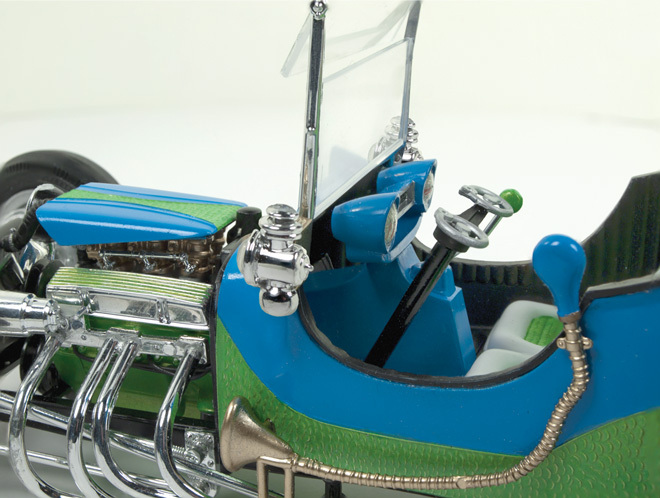 Features include two detailed motor options, parts injected in white, chrome parts, hinged engine doors and custom fins. 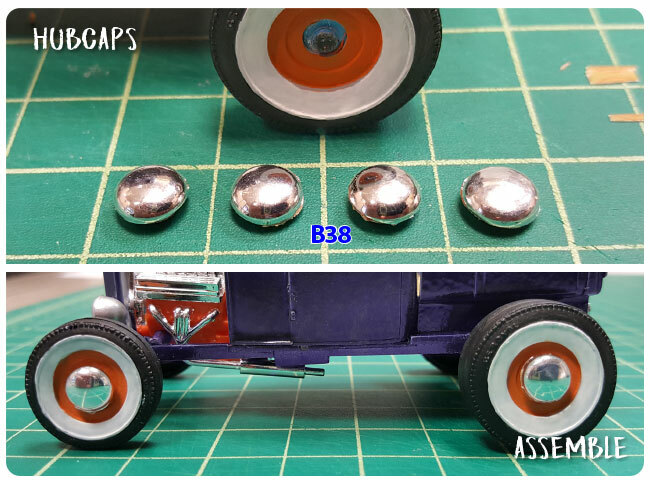 The included trailer features metal axles, rubber tires, hubcaps and optional fender skirts. The decals are remastered for better fit and realism, and include new decals to match the vintage box art that were unavailable in previous releases. 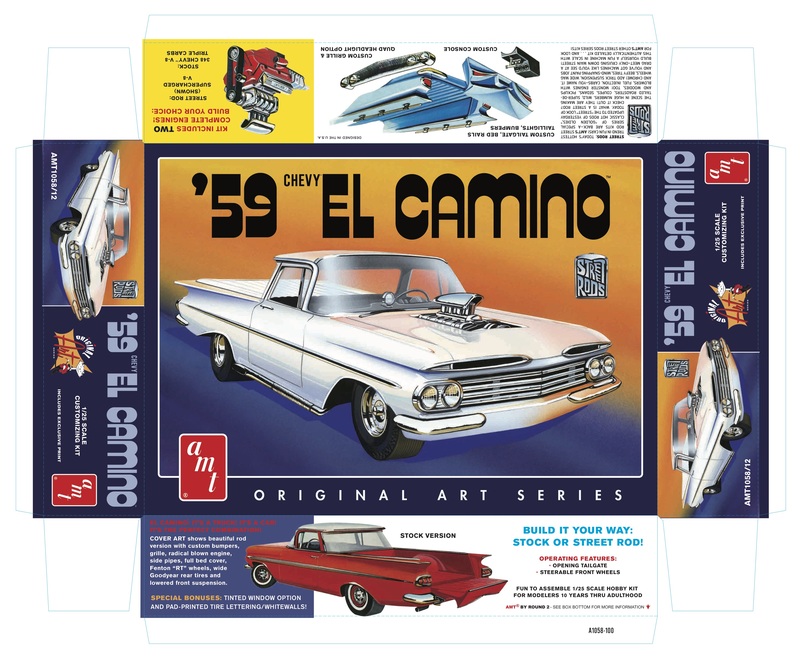 The packaging includes vibrant, vintage graphics and a full color tray displaying photos of the 3 completed versions. 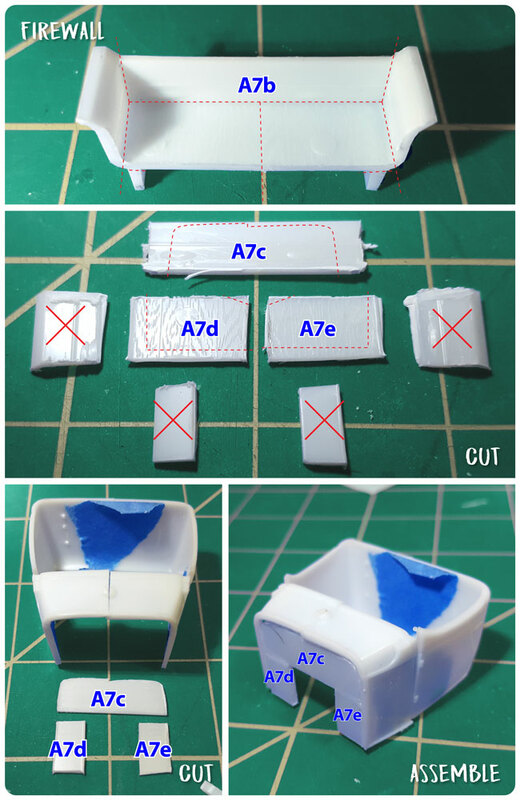 So keep a lookout this summer for the AMT 1/25 3in1 Customizing Boat. 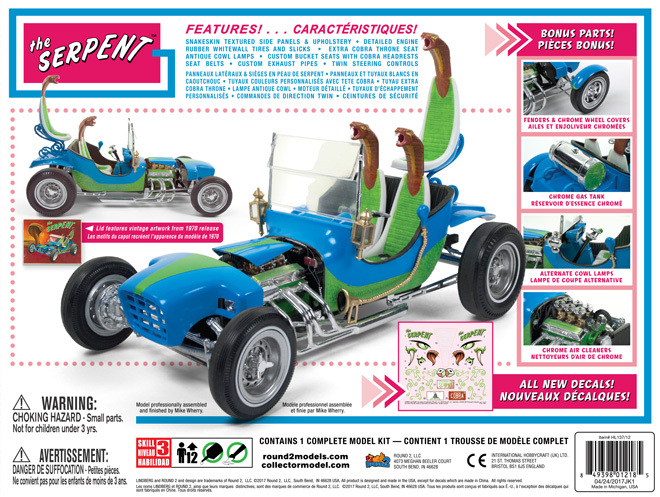 Lindberg Model kits: Big 1/16 Scale Serpent Sho-Go Rod! After 47 years and some tooling work the Serpent Sho-Go Rod is ready to roll again! The kit has had quite a few variations over its long history. 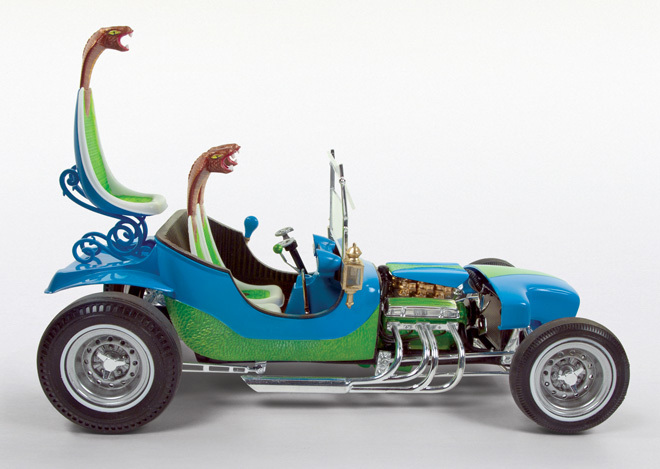 The first appearance was in Pyro’s 1965 catalog as the TeeNT Sho-Go Street Rod and the Gee-T Custom Show Car. The Serpent variation first appeared in 1966 as the Cobra Tee Way-Out Rod. 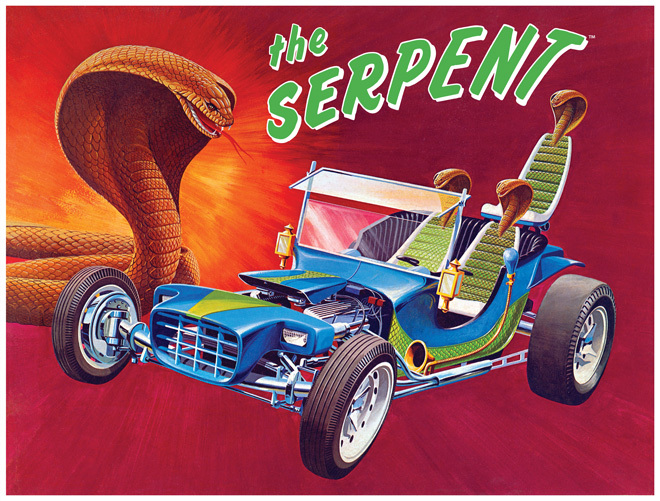 In 1970 skis where added to the Gee-T and it was re-christened as the Sno-Skeeter, the Cobra Tee became the Serpent, and new parts were tooled for the 4th version – the Laramie Stage Ghost. In 1979 Lindberg released the TeeNT as the Bull Horn Street Rod. Supposedly, it was renamed as such because, when loonies at Lindberg obtained the tooling, they thought that the horns from the Laramie were meant to go with the TeeNT. The Serpent is a big, fantastic rod at 1/16 scale. It sits at over 8 inches long and 5 1/2 inches tall. 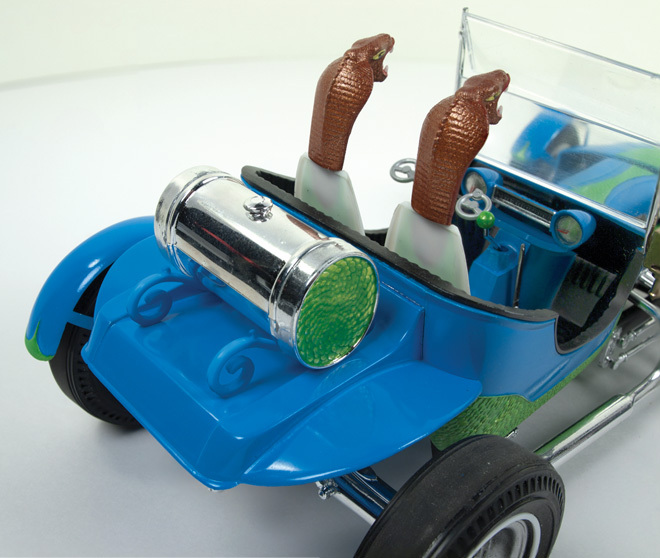 The kit features snakeskin textured side panels & upholstery, detailed engine, rubber whitewall tires and slicks, an extra cobra throne seat, antique cowl lamps, custom bucket seats with cobra headrests, seat belts, custom exhaust pipes and twin steering controls. Parts will come injected in blue, black and clear. 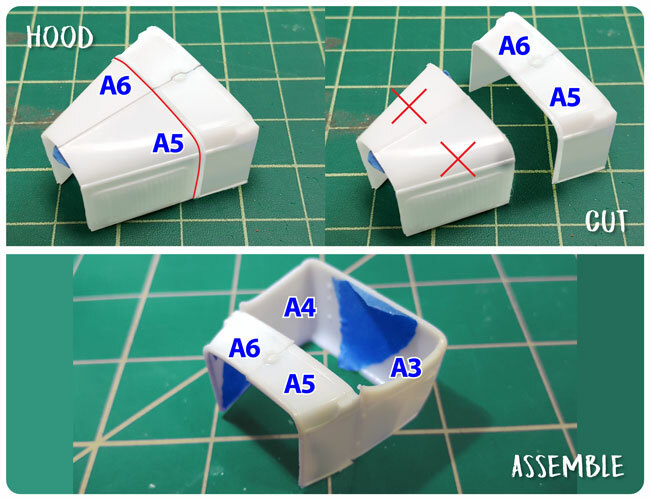 Alterations to the kit include improving the way the bucket sits on the frame and adjusting the stance of the 3rd seat to better match the box art. For those wanting a more custom look the Serpent comes with a slew of bonus parts including front & Rear fenders, chrome wheel covers, chrome gas tank, alternate cowl lamps, and chrome air cleaners. 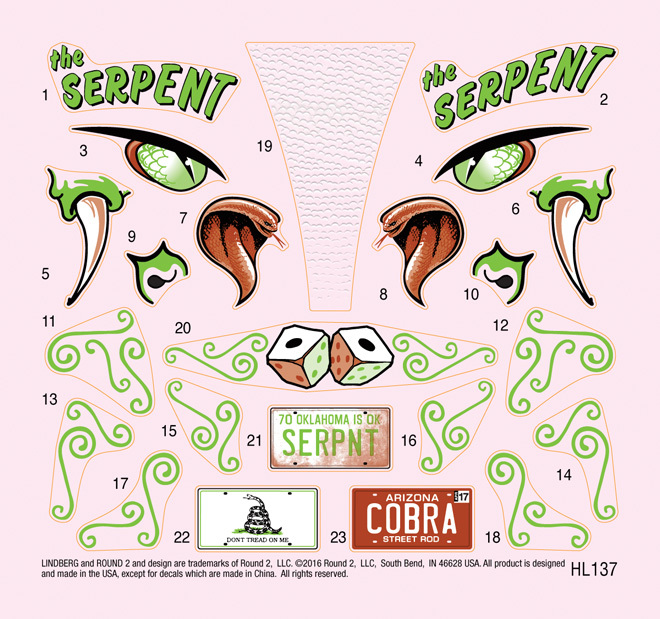 An all new feature for the Serpent is a large, snake-themed decal sheet. Slithering your way this May! 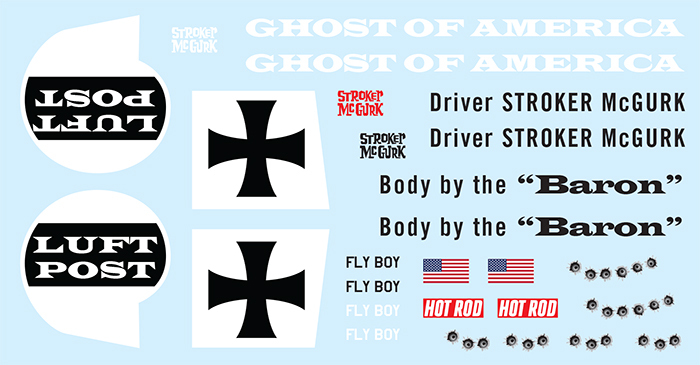 MPC’s Stroker McGurks’s Ghost of America Set To Take Off! As one of Hot Rod Magazine’s original staffers in 1948, Tom Medley’s cartoons and photography chronicled America’s post WWII car culture. 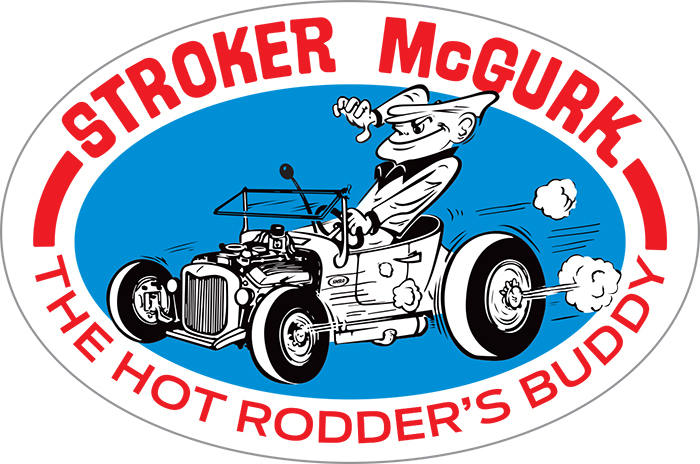 His character “Stroker McGurk” put a whimsical wink on a hot rodding’s outlaw image and was a popular feature in the magazine. 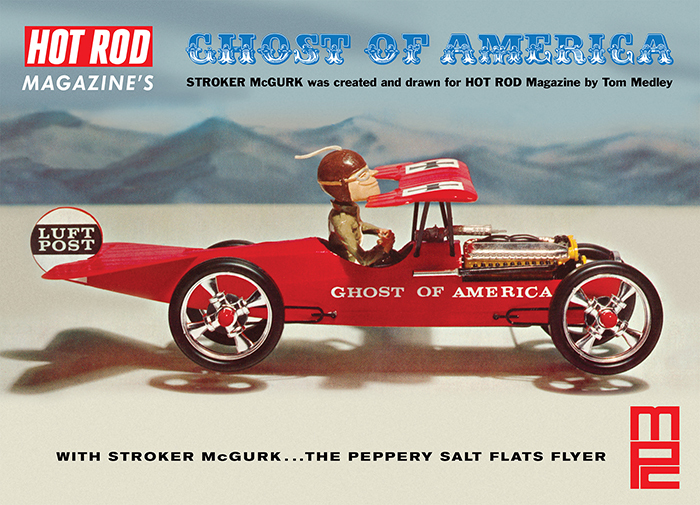 MPC originally released two kits featuring McGurk – one of his wild surfboard, the Surf Rod and featured here, The Ghost of America salt flats racer. Styled around a WWI fighter plane, Stroker’s salt flats racer features a detailed Allison aircraft engine, “Model A” type radiator, machine gun and rolling wheels. Of course, it wouldn’t be complete without Stroker McGurk himself appropriately wearing a fighter pilot uniform and head gear! MPC’s re-release features expanded decals and a color Stroker McGurk sticker in our Retro Deluxe vintage-styled packaging. Be sure to grab both the Stroker McGurk Surf Rod and The Ghost of America at your hobby dealer. 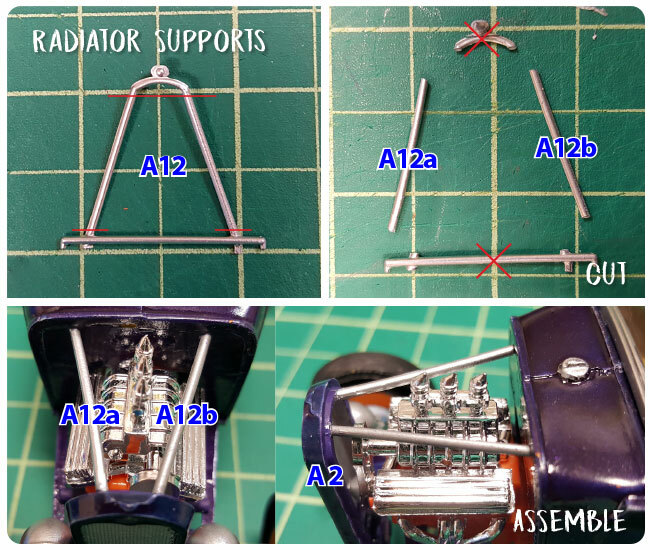 This is the final part of my 1930 Ford Model A Roaster Pickup kitbash using the Lindberg 1:32 Customizable Show Rod 2-pack and Lindberg 1:32 1930 Ford Model A Pickup. Parts are painted, now it is time for assembly. As mentioned in part 2, I assembled the motor using the “Rear Mill Bucket” instructions. As shown above. 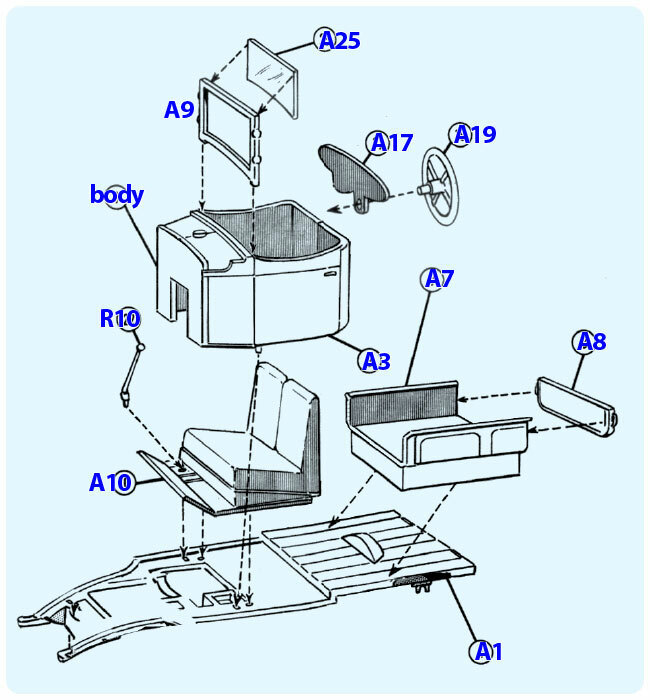 Next I assembled the frame (A1), body (A3+A4+A5+A6), dash (A17), steering wheel (A19), windshield (a9), glass (A25), bed (A7a), grille (A2), tail gate (A8), and interior of the cab (A10) as shown in the Model A Pickup instructions. I replaced the gear shift with the chromed one from the Super Roadster (part R10). Front axle (R13) was slid into slot at the front of the frame. 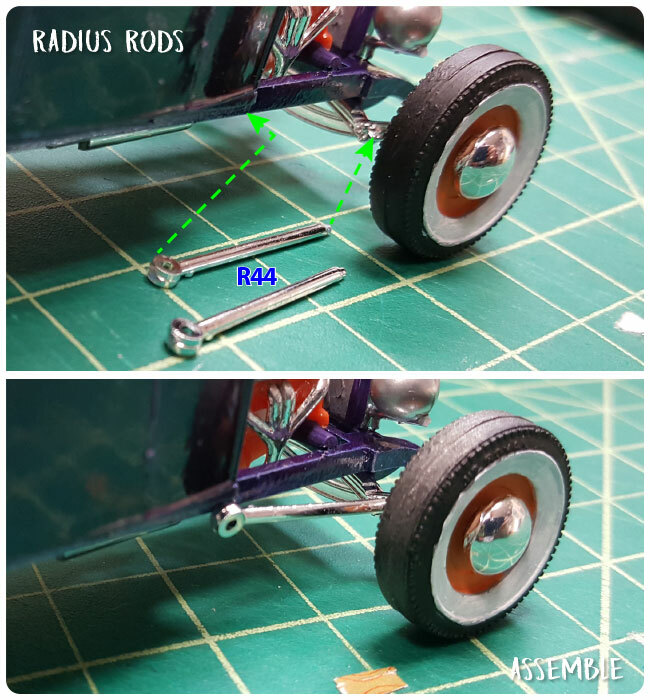 I attached wheel hubs (R55) and small wheels (R27 & R28) to front axle. 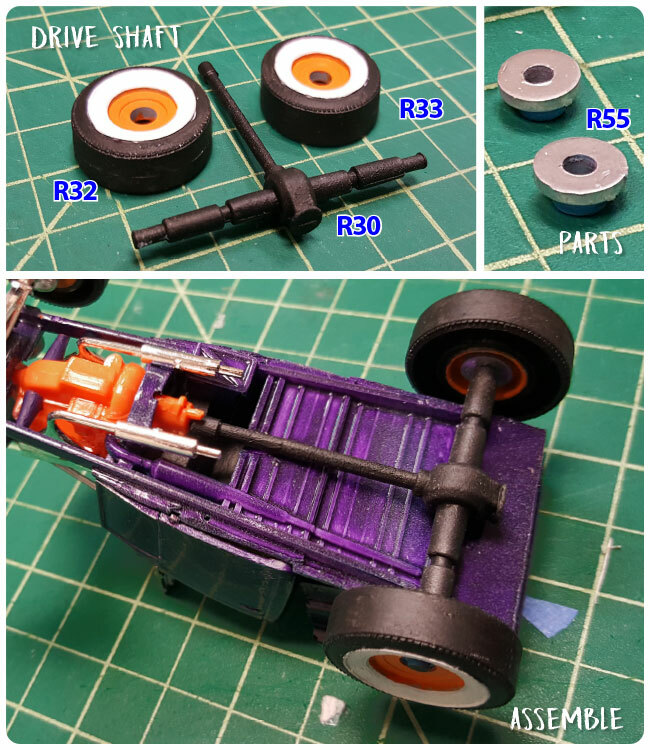 I attached drive shaft (R30), wheel hubs (R55) and large wheels (R32 & R33) to frame and engine. At this point I also attached the exhaust (B33 & B32). Before I could attach the radiator (A2) I needed to make supports. For this I used part A12. I cut two segments from A12 and glued them between the radiator and firewall. I glued the headlight lenses (A26) in to the headlight assembly (A18). I cut the assembly as shown above and cemented the headlights to the side of the radiator. I finished it up by attaching the hubcabs (I went with B38) and the radius rods (R44). 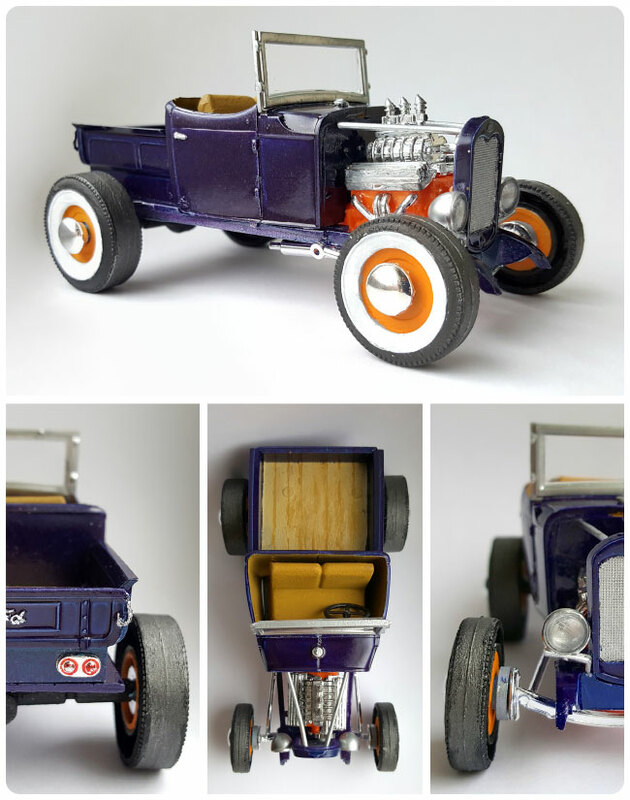 Here is the final 1:32 1930 Ford Model A Roadster Pickup Rod. I couldn’t be happier with how it turned out. Next I am going to see if I can do something with the remaining parts from this build and maybe another one of the Lindberg 1:32 kits. 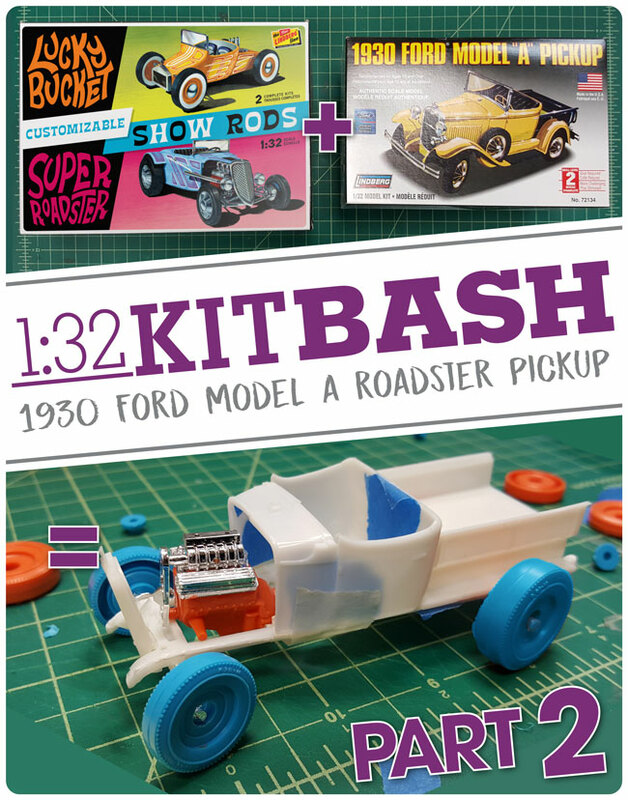 This is part 2 of my 1930 Ford Model A Roaster Pickup kitbash using the Lindberg 1:32 Customizable Show Rod 2-pack and Lindberg 1:32 1930 Ford Model A Pickup. Above are the parts from each kit that were used. 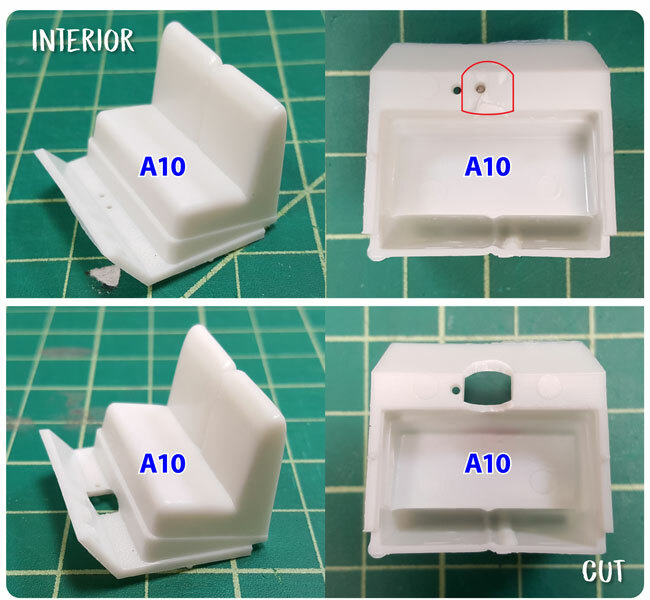 Note that I will reference 1930 Ford Model A Pickup kit part with an “A” in front of the part number, “B” for the Lucky Bucket and “R” for the Super Roadster. First I removed the fenders from the frame (A1). Cutting along the the red lines as shown above. I discarded the fenders (i.e. set them aside for future projects). Next I separated the hood from the cowl halves (A5,A6), cutting along the red line. The hood halves were not used on this build, so discard. The cowl halves (A5,A6) and the body sides (A3,A4) were then glued together. I wanted to shorten the pickup bed (A7). 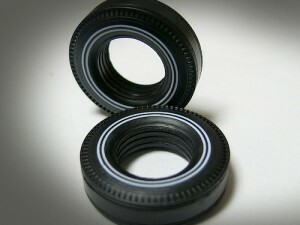 The excess is be used in next step, so you would need to remove at least 7mm, I went with 11mm. 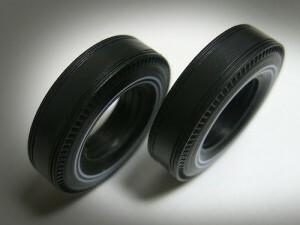 I will refer to the halves now as parts A7a and A7b. I also trimmed 11mm off the bed on frame (A1). The excess from A1 is discarded. The body (A3+A4+A5+A6) is missing a firewall so I used part A7b to create it. I cut it into the pieces shown above and then cut 3 pieces down to fit in the cowl (A5+A6). The pieces were about 7mm wide and A7c was cut to fit the curve of the cowl. 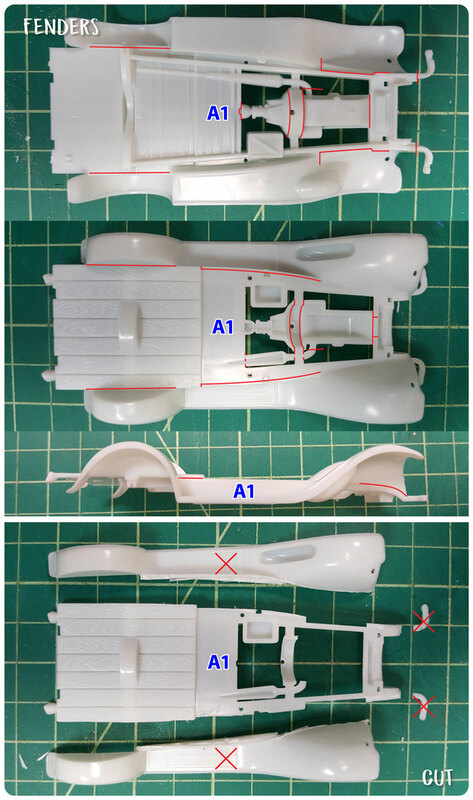 Parts A7c, A7d and A7e were glued to the body. Next I cut a “hole” in interior’s floor (A10) to make room for the drive shaft (R30) from the Super Roadster. I cut the hood ornament from the grille (A2). I didn’t like it. I used the motor halves (B16,B15) from the Lucky Bucket. I cut a half circle from the end of the support rods that enable the engine to sit perfectly in place on the frame (A1) with very little modification. Note I had to cut a half circle notch off the frame at the front of the engine to leave room for the belt (B43). For the motor assembly I used the “Rear Mill Bucket” version, option B on the instructions for the Lucky Bucket, but with different exhaust. I will show this in my next post. 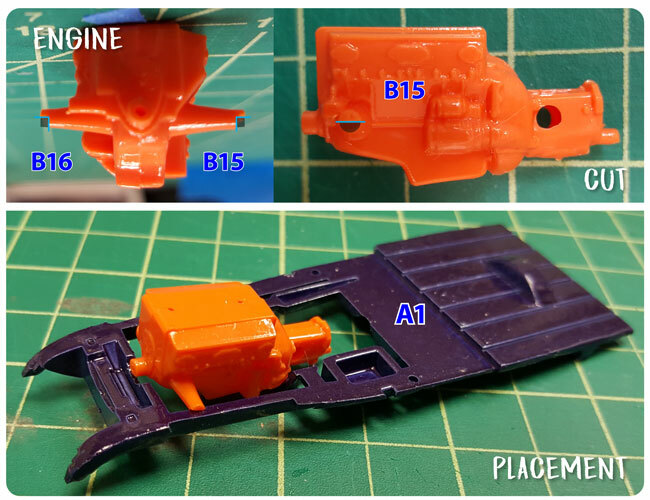 Next I painted the parts as shown above. My paint scheme was inspired by the vintage Lindberg Freaky Ford kit. 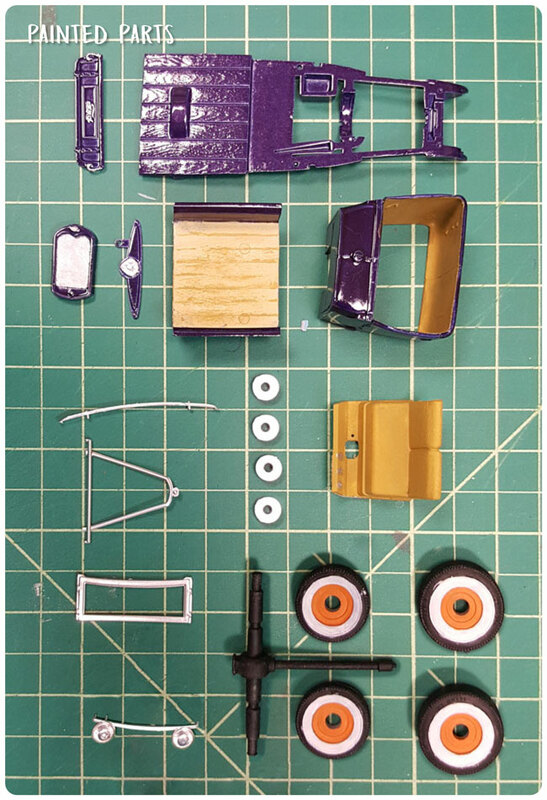 (as mentioned in Part 1) I painted the frame (A1), body (A3+A4+A5+A6), dash (A17), bed (A7a), grille (A2), and tail gate (A8) a metallic grape purple, first hitting them with a dull medium blue then the purple to give the color a little more depth. I painted the wood planks on the bed to look like wood and the grille and gauges chrome. The interior of the cab and the seats were painted tan. The front radius rod (A12), headlight assembly (A18), bumper (A20), windshield frame (A9) and 4 wheel hubs (R55) were painted chrome. 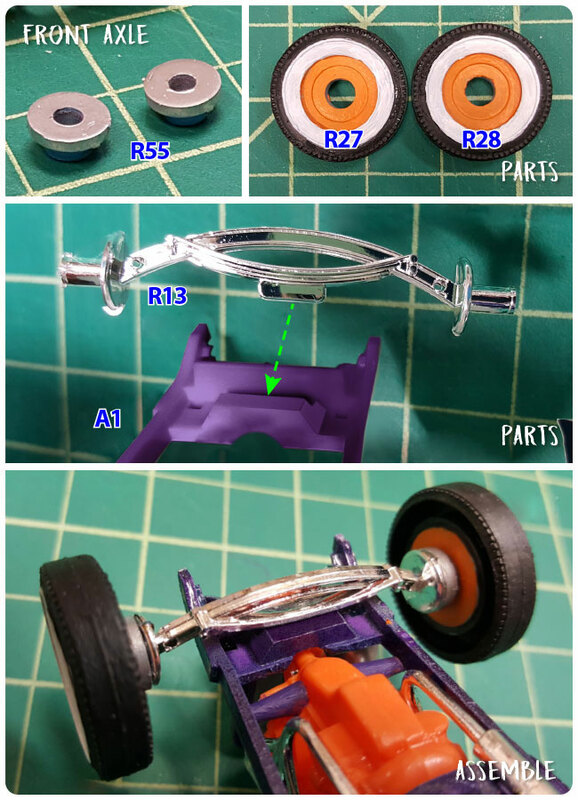 The small front wheels (R27,R28), rear wheels (R32,R33) and drive shaft were painted black. The rims on the wheel were painted orange and whitewalls were added. Look for my next post for final modifications and assembly. We have a 2-pack of 1:32 Customizable Show Rods that will be coming out soon under the Lindberg model kit line. The pack includes a 1930s roadster and a 1920s rear-engine bucket that include a slew of interchangeable parts, so you can customize to your heart’s content. 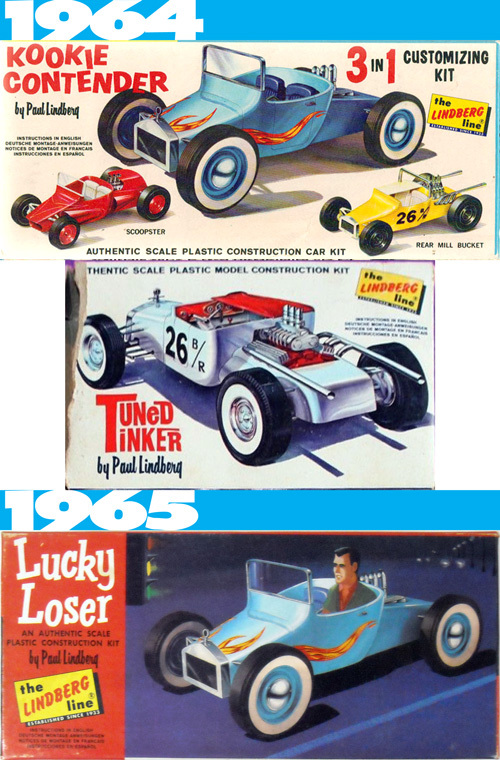 These fun little kits were originally released separately in 1965 as part of a series of 4 kits. 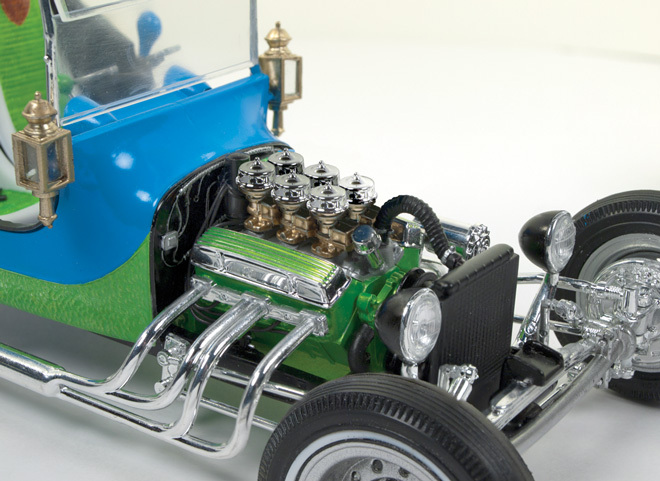 The Roadster was released as the Super Custom Deuce, a 3-in-1 kit including Street Roadster and B Altered variations, and as the Blown Buggie. The Bucket was released as the Kookie Contender, a 3-in-1 including Scoopster and Rear Mill Bucket variations, and as the Tuned Tinker. Over the next 11 years Lindberg put out 6 more versions of each kit. Notable releases include the hard to find Glo-Karts in ’72, Rainbow Rods in ’73, and the blue jean themed Jumpin’ Jeans in ’75. Because who doesn’t want their hot rod covered in denim? Now for the FIRST TIME EVER the new release will include chrome parts! The rest of the parts come injected in bright, bold colors. The kits will each include 2-3 options for grilles, headers, carburetors, front suspension, and hubcaps. Additional parts include a soft top, scoops, blowers, tires, front & rear fenders, rear bumper, tail lights, and roll bars. 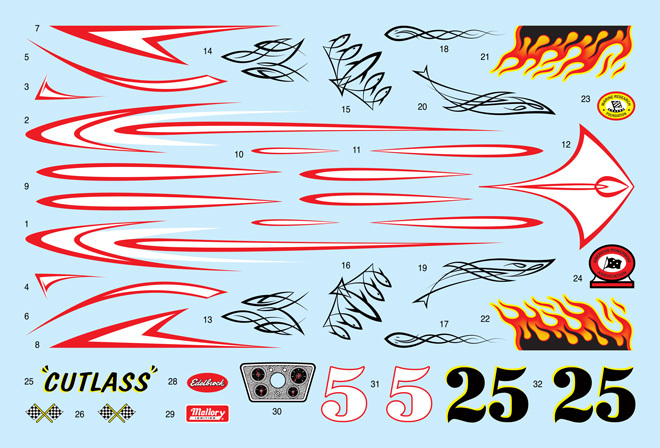 The large decal sheet is all new featuring funky show rod patterns and multiple options for customizing. Given all the options for these kits I am excited to see what modellers will do with them. 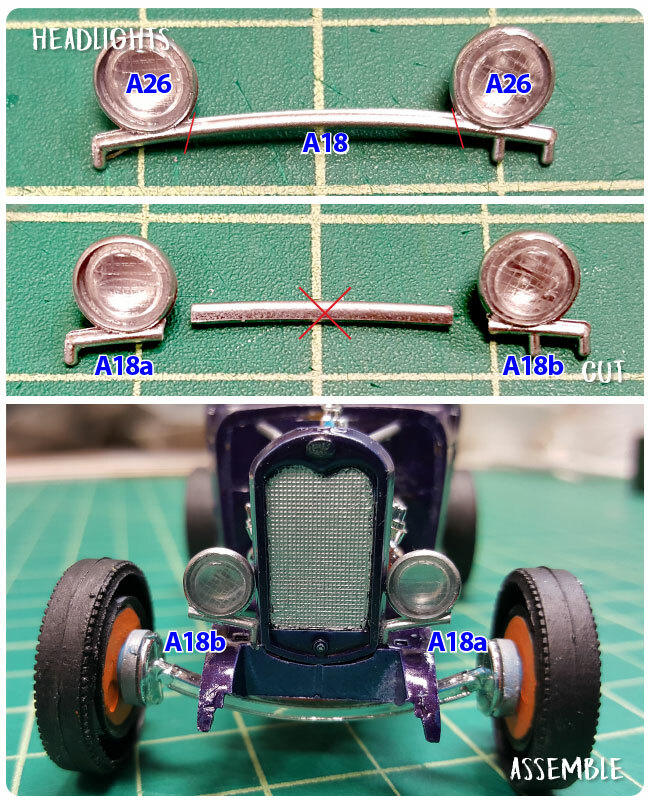 I’ve heard through the grapevine there’s been some speculation on what will, and will not be included in our upcoming release of AMT’s 1929 Model A Ford Roadster double kit. 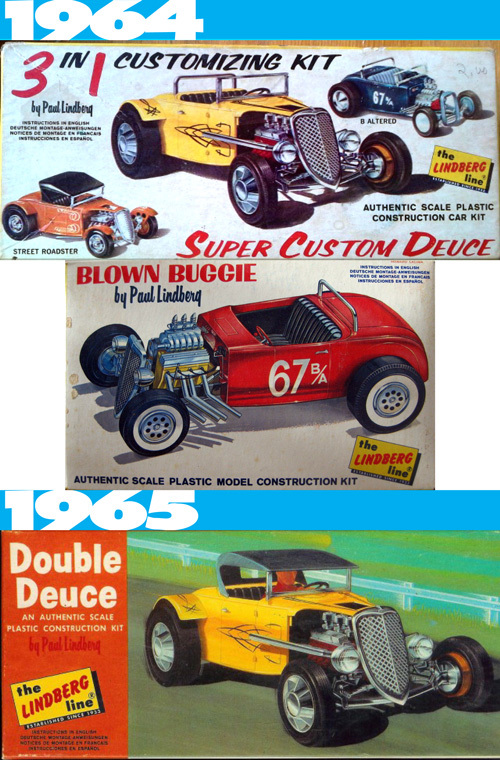 For those unaware, the two original “Mod Rod” releases, post the first issue, still included the parts to build Barris’ Ala Kart. However, the later Street Rods issues saw some parts modified and many others deleted. No more Kart. Then, in the AMT-Matchbox days, the rather “visually-unappealing” A-Venger was issued, suffering more original part deletions and further changes to others. This is pretty much how it stayed until RC2 reissued the kit with some parts gates reopened. 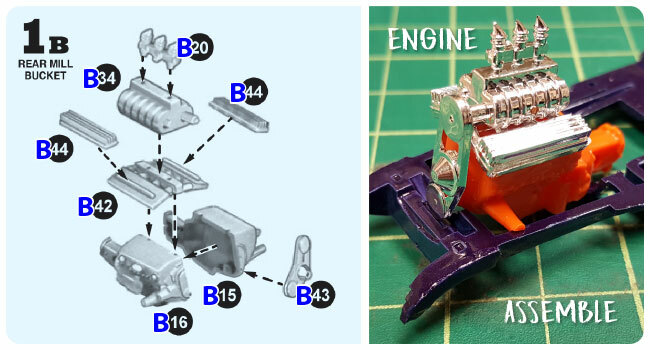 Before confirming what’s included in the upcoming reissue, I wanted to mention: as you can imagine, there are two camps regarding the original Ala Kart from the double kit vs. the retooled version. If the Ala Kart specifically was ever to be reissued, one group insists the original is better, i.e., it’d be more desirable to retool its missing parts. The other group feels that while the new tool has a few shortcomings, it’s the better candidate for rework to improve scaling and accuracy. This argument is the reason why the Mod Rod reissue will not contain ALL the parts to build the original Ala Kart kit. In other words, I haven’t decided which, if either approach to take. However, rest assured the upcoming Mod Rod issue will still delight you! After a lot of consideration, I made the decision to retool what was necessary to re-release the yellow Mod Rod shown on that release’s box art. As such, the Ala Kart’s front axle and front suspension unit had to be recreated. I opted to leave the existing/modified (Kart) front suspension unit as it was (sans front springs) , so that it could still be used by those wanting to build the A-Venger version. The Ala Kart wheels and ’32 Ford grille shell also needed to be retooled. 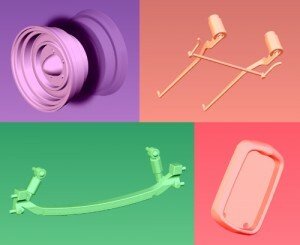 The photo below shows images of the 3D models of all the retooled parts. We’ve reopened every possible part gate in the tooling and have added part numbers to those without one. 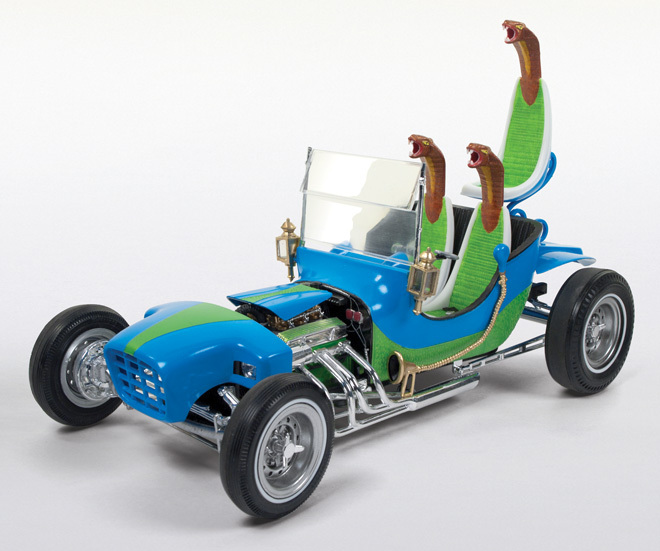 Even the Kart’s pickup bed will be back in the kit. But some key pieces, such as the Kart nose/radiator and the clear insert that goes into its chrome grille are gone from their respective tooling. The injector tube pieces for the Kart motor’s intake setup are also no longer in the primary tool. It goes without saying that we are very excited about what IS in this value-added kit. You’ll be able to build two complete cars once again, including the original old-timey racer with it’s hopped-up four-banger motor. As we had acquired the original yellow Mod Rod box painting a couple years back, we’ve decided to make the kit available as part of the Original Art™ Series. It’ll be molded in white and have the large format box with a bonus print of the painting, suitable for remembering the heyday of modeling. The kit will also be available molded in yellow, in our standard packaging as well. 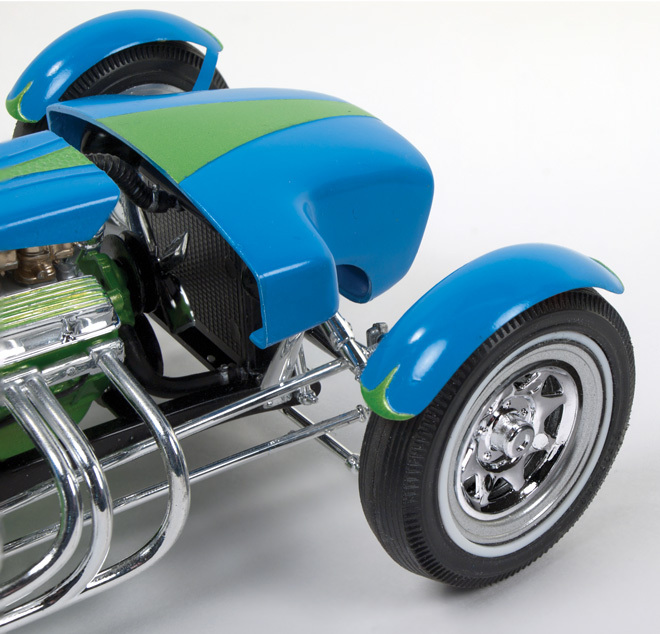 Both kits include exactly the same parts and even feature two drag slick options – our new skinny “pie crusts” with Firestone lettering that will knock your socks off; and also a set of Goodyear Blue Streaks that look very similar to what’s shown on the Mod Rod box painting. The planned release for this kit is in May, just in time for late-spring kit bashing season! OK, all you car and truck modelers: I’ve been taking some heat, both internally and also from emails coming in. No, not about suicide chicken wings, but regarding our blog and Facebook pages; being “limited” to sci-fi subject matter. I cannot contest this. So, I’m going to try and improve on the situation once and for all, with some posts for those of you who like things that run on gasoline as opposed to dilithium crystals. I commend Jamie to no end for the time and effort he finds and puts into his sci-fi and figural posts. He’s done an incredible job. My plan is to keep you informed on notable things we’re doing in the car and truck realm, and give you a glimpse of the details you may not even be aware of. The Retro Deluxe™ idea was developed to inject real excitement and delight into the AMT & MPC kits we produce. It’s very rarely “just another reissue.” Take the Surf Woody for example: did you know we’ve retooled all-new, narrow “pie crust” cheater slicks which very accurately represent the dual rear tires on the 1:1 car? Check out the images – these babies even have the double pinstripe on them! They’re absolutely beautiful. (Side note: the front tires in the Surf Woody kit come with matching double stripes.) You’re going to find the new slicks, with different pad printing and lettering, in other kits as well… a certain “Mod Rod” that’s coming soon will have ’em! Until next time, grab the glue… it’s all you!